This is going to be a rather short blog because Christmas is not a traditional holiday for everybody. 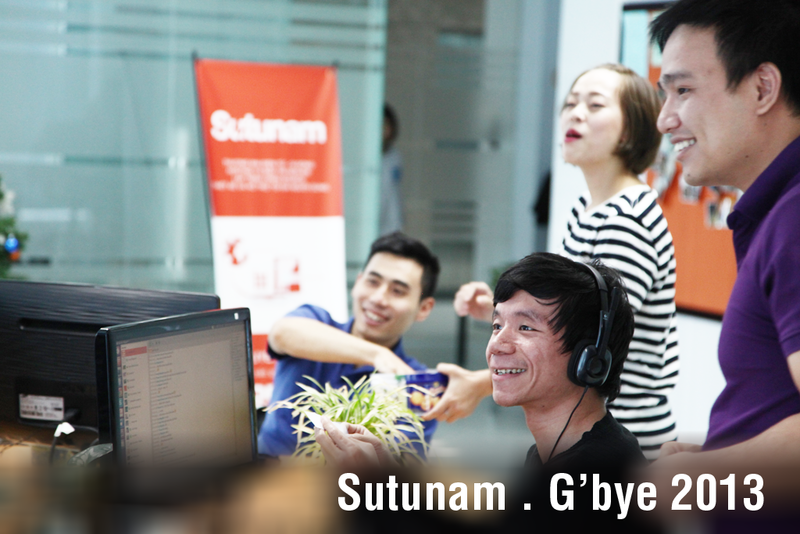 The fact is, Sutunam Vietnam is still working. 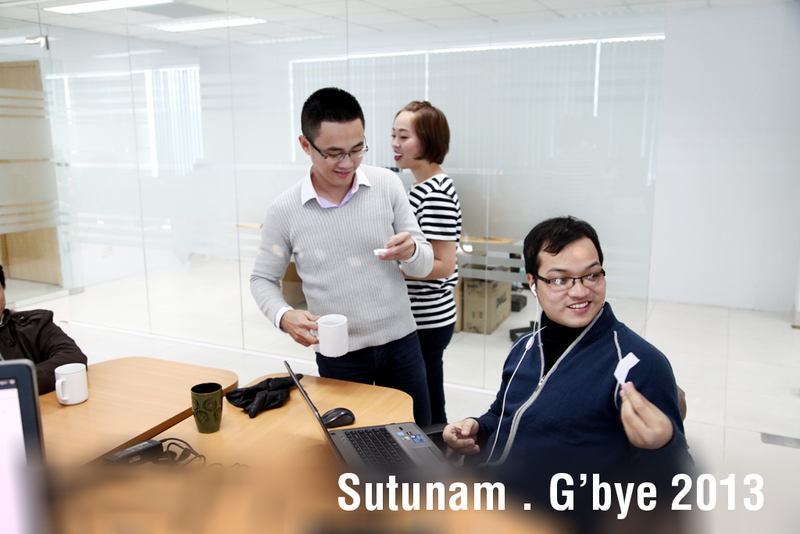 Therefore, while you guys are enjoying Christmas dinner party with family and friends, with all the great cuisine such as goose paté, champagne, smoked salmon, turkey and cakes, here in Vietnam we are still working. 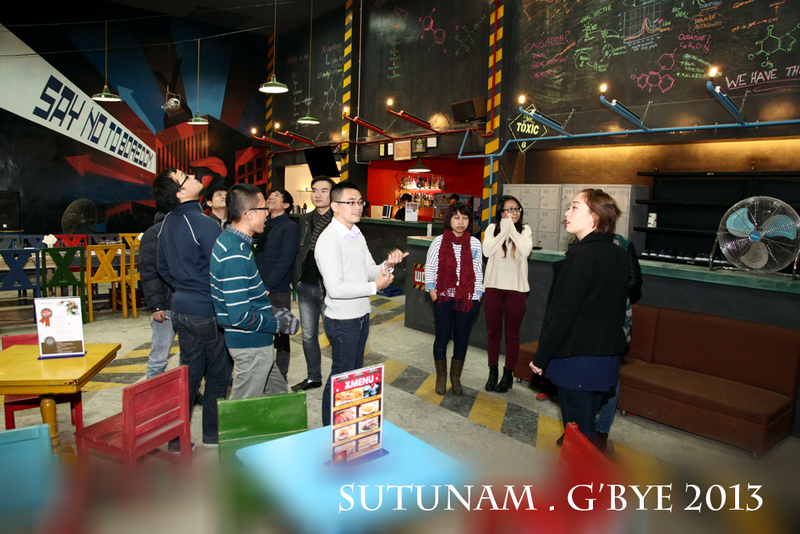 However, we have celebrated our early Christmas on Friday last weekend, with a great evening of Laser Tags and dinner. 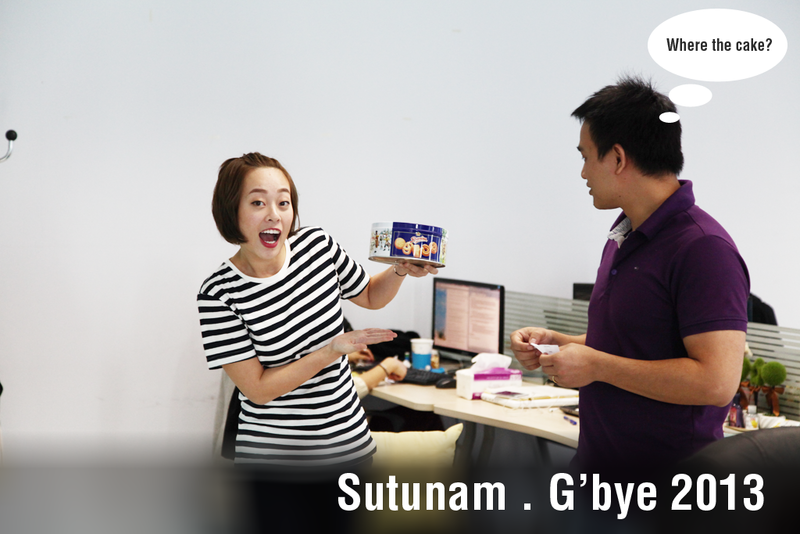 In the beginning of the day, we randomly selected team members for two team and the job was fairly executed by Ly – our communication officer. 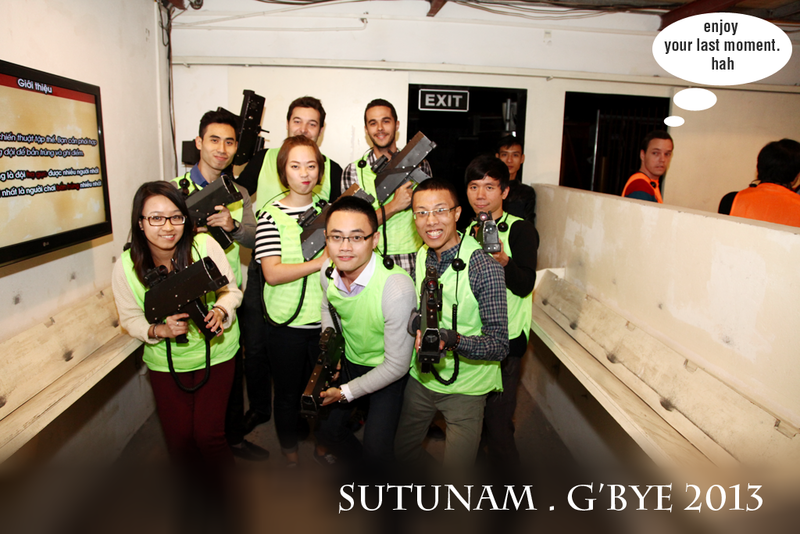 At 6pm, Team A and B (level of name-originality is low) marched up to the Laser Tags location. The location was decorated nicely with a big, 2-story-playground area. 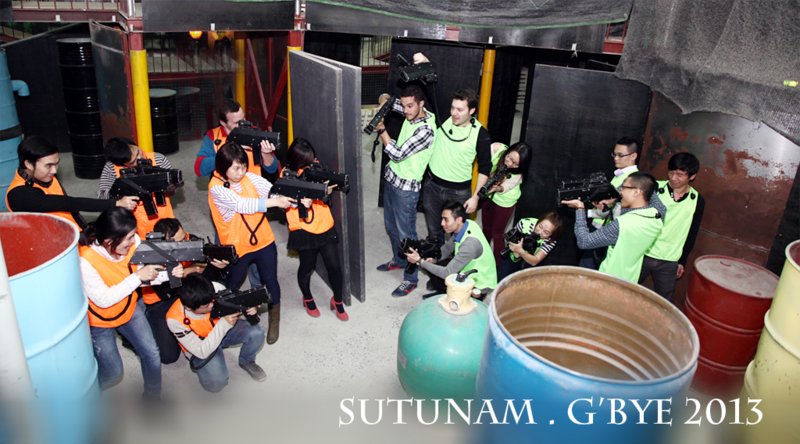 Two teams were well-equipped with jerseys, guns and were instructed thoroughly before entering battle. 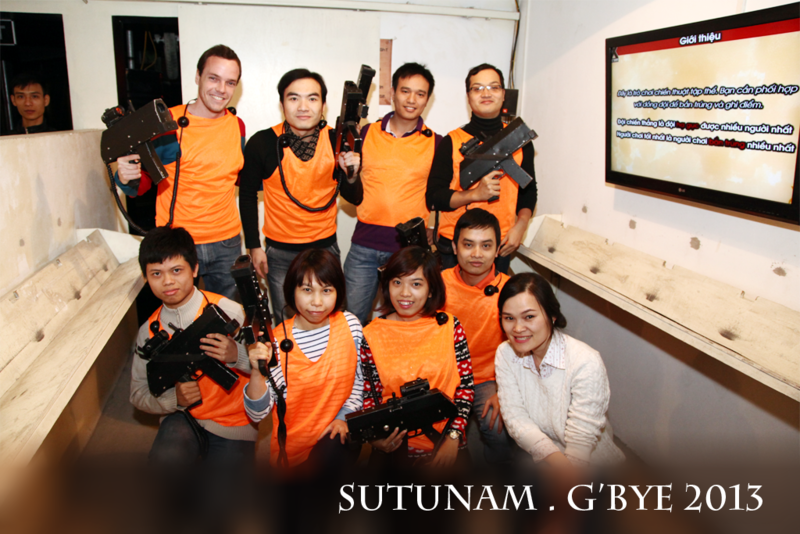 Team B, from left to right: Viet, Martin, Romain, Van Anh, Ly, Tuan, Thien and Cuong. The game began in the dark but it wasn’t a problem with us. 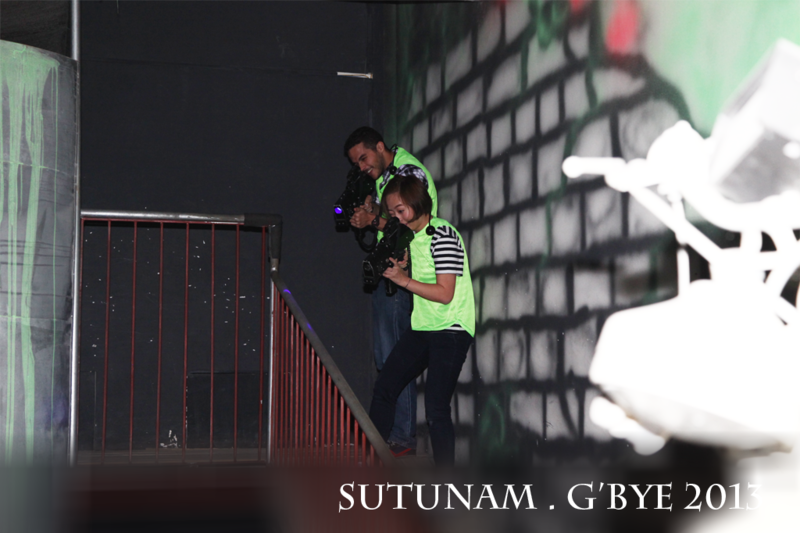 Both team were putting their heart in the game and tried to aim and shoot their best in the interestingly-designed battle field. 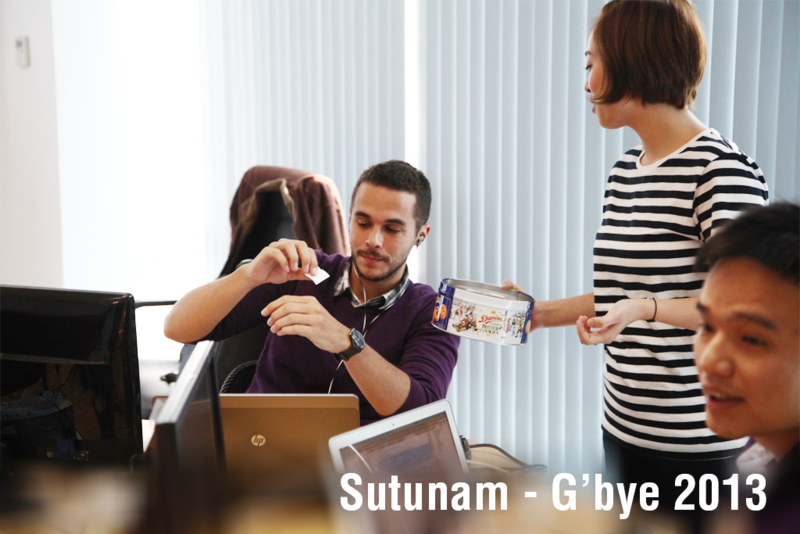 We find the best way to communicate in the dark regardless of our multi-cultural environment. 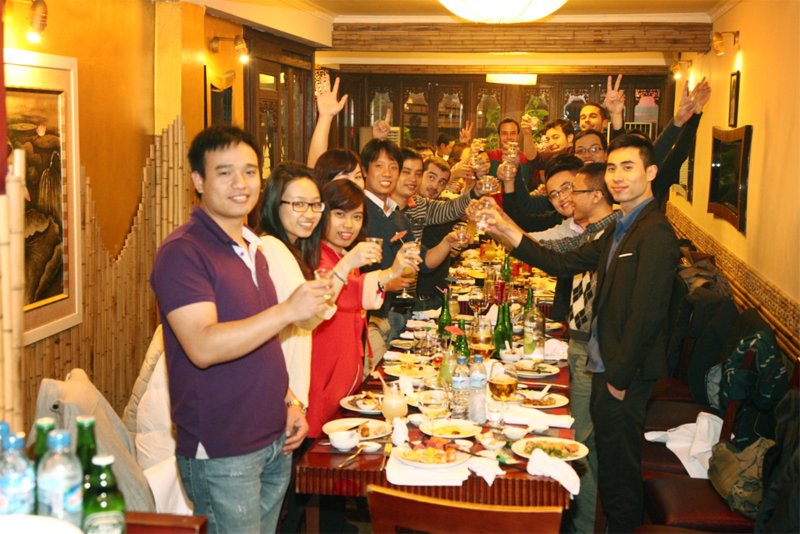 With the tie game, we were (hungrily) happy to go to our next destination, which was the buffet restaurant to celebrate. The buffet had plenty of great dishes such as grilled lobsters, sushi, steak, and many other desserts. 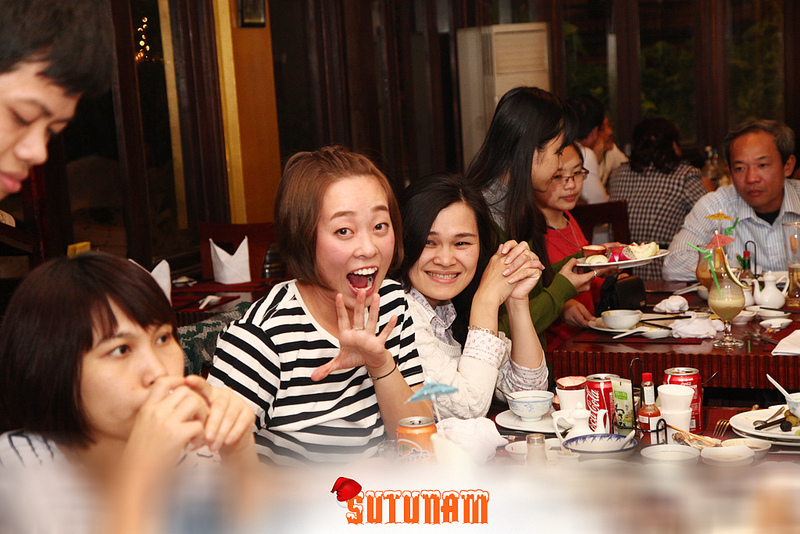 Sutunam Vietnam raised up their glasses for traditional celebration. 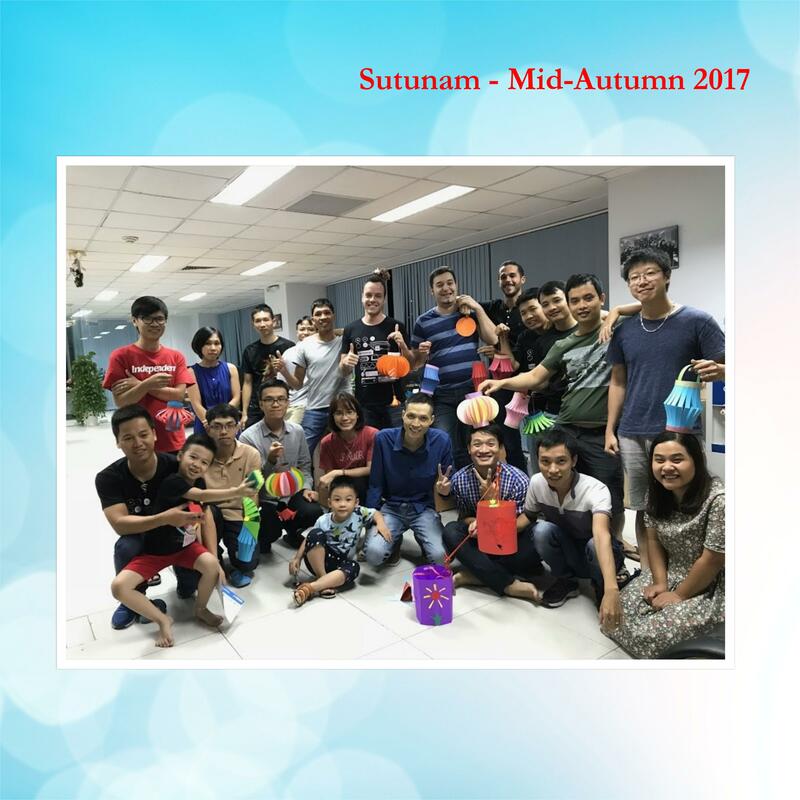 Once again, Ly has done a good job in bringing everyone together in the big family of Sutunam. 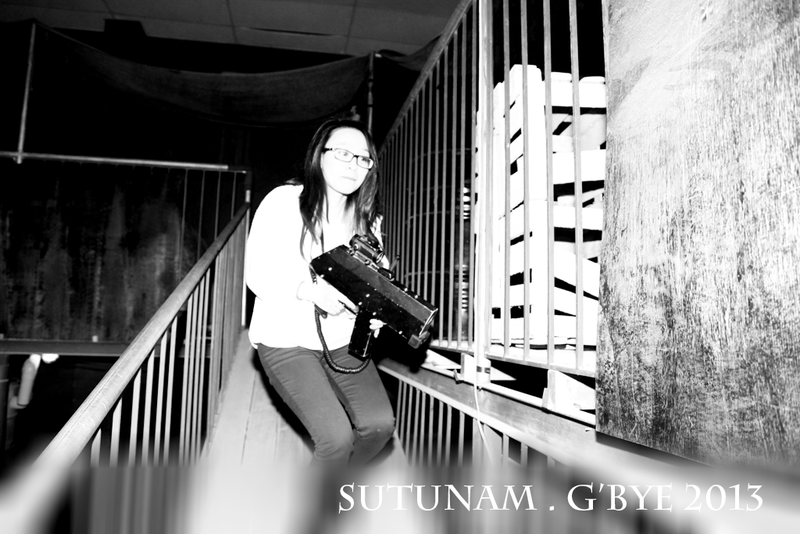 P/S: Thanks to Thuan and Tuan for great pictures.